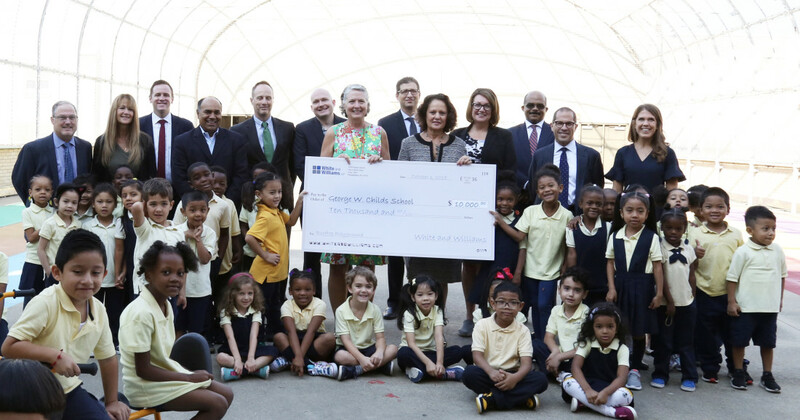 We are pleased to announce our official “adoption” of the George W. Childs School located in South Philadelphia. The two-year engagement kicked-off on October 1, 2018 with the donation of $10,000, providing brand new schoolyard equipment and toys for students to enjoy. The donation was made as part of the firm’s Adopt-A-School Initiative, which supports the local community by investing in education. 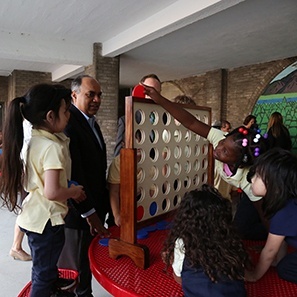 The new schoolyard equipment, including tricycles, games, picnic tables and outdoor storage, will help create a fun and safe environment for students to play outside and get fresh air during the day. 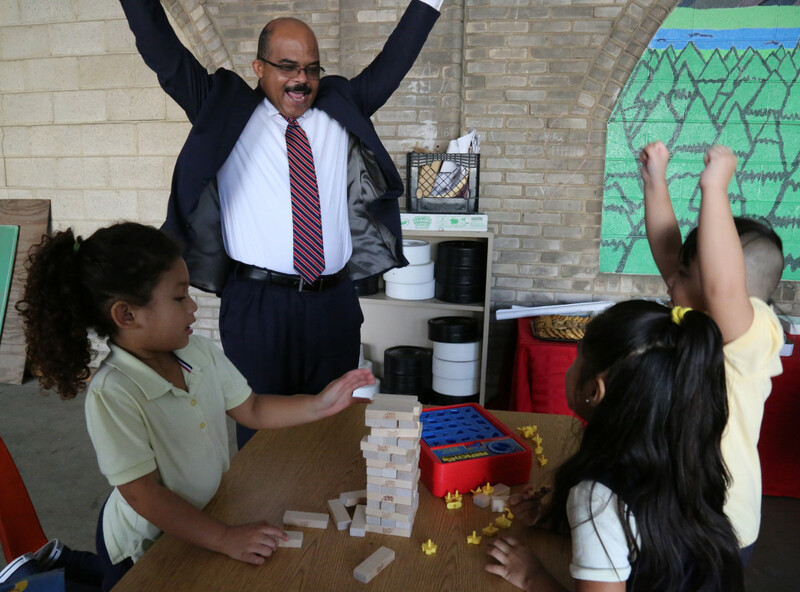 “It is our goal to create an environment where students feel safe, have fun and are able to reach their fullest potential,” said Eileen Coutts, Principal of George W. Childs School. “We can’t thank White and Williams enough for their generosity in contributing to our outdoor schoolyard and the overall wellbeing of our students. I have no doubt the kids will be delighted with the new games and toys." George W. Childs School is the fifth school adopted by White and Williams in Philadelphia. The firm has also adopted elementary schools in Lehigh Valley, Pennsylvania and Wilmington, Delaware. Click here to see photos from the adoption kick-off on the firm's Facebook page.